I know, I know – if you had a dollar for every time you heard that cliché, you’d already be a millionaire. Maybe it makes your eyes roll a little every time you read it? And you know what? The reason you keep hearing is because it’s absolutely true. Maybe you’re looking at your own list-building efforts and scratching your head a bit. You know you need a list, because it’s the number one way to follow-up with prospects, close the sale, and get repeat purchases. Heck, you’ve seen others make some pretty amazing money with their lists. You know having a list is as vital to your business as water is to a fish. You need to rock this thing. I mean when you started this whole list-building thing, you probably had visions of people falling all over themselves to join your list. After all, who wouldn’t want to get your pearls of wisdom delivered by email? But then reality hit. It was a lot harder to persuade people to join your list than you first imagined. And if you haven’t yet started building your list, then this is something you’re going to find out lightning-quick. 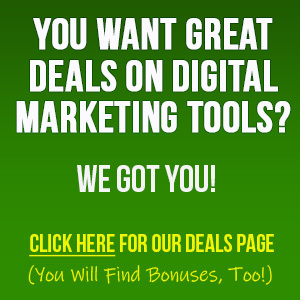 Because you’re about to discover the missing link that’s going to virtually build your list for you. And that missing link is how to create an amazing lead magnet that both attracts new subscribers and generates sales. I’m talking one that will build your list, close the sale, help you develop authority in your niche, and create a strong relationship with your prospects. That’s why you’re about to learn is a simple seven-day process for creating your own amazing lead magnet. Specifically, you’re going to find out how to create a free ebook or report. I know, there are about a bazillion different types of lead magnets: videos, apps, access to live events, checklists, membership sites and so many more. So why create a report? Gives you prolonged exposure to your content. People tend to hang onto and use a good report for years, which in turn gives you multiple opportunities to get your links and calls to action in front of your prospects’ eyeballs. Offers multiple positions where you can promote and make more revenue in the report. You can promote a related product or service at the beginning of the report, at the end of the report, or even embed it right into the content. In fact, here’s a little secret: you can use your report to “set up” your entire promo. Basically, you can plant seeds in your prospect’s mind all through the report… and then at the end you can “harvest” the fruit of your labor by getting the reader to click on your links. You’ll find out how to do this just a bit later. Puts your lead magnet just a click away from your prospects. When you create a good report, then people keep it close by. It’s on their hard drive, or bookstore, or in a download area. Whenever they think of it, they can immediately access it. They don’t need to remember passwords or jump through hoops to re-read it. Creates real estate in their living environment. All you have to do is tell people to print off your report (and give them a good reason to do so), and your report will get a presence in your prospect’s life. Plus, printing off the report makes it tangible, which in turn creates a higher perceived value. Nice bonus! So you can see why a report is one of the best lead magnets you can offer to your prospects. Now it’s time to create your own. And the best way to do it is by following this proven seven-day process that takes you from idea creation to awesome end product. Think about this for a moment: there’s not a true fudge-lover on the planet who can walk out of a fudge shop without making a purchase. Why? Because inside the shop, the prospect gets ooey gooey delicious samples of fudge. Once the warm, rich fudge hits the prospect’s tongue, she’s a goner. Her brain is filling with all sorts of feel-good neurotransmitters. She can taste for herself the quality of the product. She can smell all the fudgey goodness filling the shop. And there’s no freakin’ way she’s walking out of that shop without a bag of fudge to bring home. The reason I’m telling you this isn’t to make you crave some really good fudge (though it kinda does, right?). Instead, I want you to think of your lead magnet as an enticing sample of your main product. Just as a fudge shop owner offers tiny bits of enticing chocolate goodness to “hook” prospects, you’re going to offer a report that whets your prospects’ appetite and encourages them to buy your main products or services. When you’re first starting to think about what kind of report to create, you need to start with the end in mind. Specifically, what do you want your prospects to do when they finish the report? In other words, what product or service do you want them to buy? For example, let’s suppose you have a blogging course you want to sell to your prospects. So what kind of report are you going to create? Well, something like “Mating Habits of the Common Field Mouse” isn’t going to create a whole flurry of sales for your blogging course. That’s a given, right? A report about traffic generation is a step closer… but close only counts in horseshoes and hand grenades. It’s not perfect, because not everyone who wants to learn about traffic generation is going to want to learn about blogging too. So here’ a better idea: a report about how to set up a blog. Basically, you give your prospects detailed instruction on how to get their blog off the ground, and this will naturally lead to your paid blogging course about how to create and monetize a successful blog. You’re building a highly targeted list of prospects who are known to be interested in blogging topics. You get more sales, because anyone who grabs your freebie offer will also want to lay their hands on your paid offer too. Picture your entire funnel, and then work backwards to figure out what enticing sample should serve as your lead magnet at the entry point to your funnel. 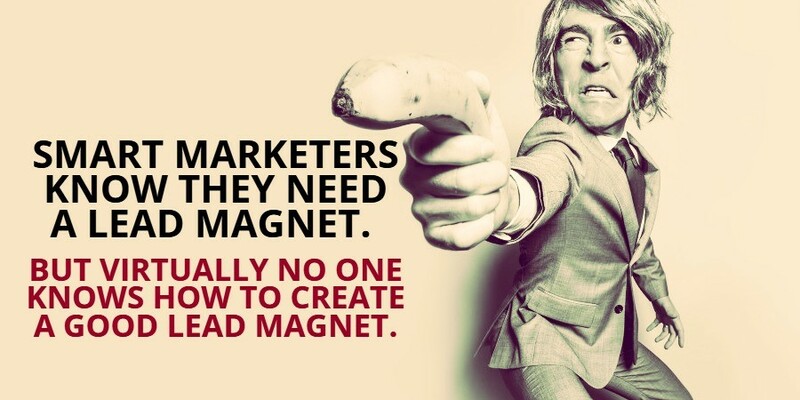 Hint: Remember, your lead magnet is just a sample of your main product. So the lead magnet should solve part of your prospect’s problem, and then naturally lead to your paid product where prospects can get a more comprehensive solution. Example 1: Let’s imagine you’re selling a suite of list-building products, including a list-building app and a list-building course. You might create an overview report that shows people how to build a profitable mailing list. Anyone who requests this free report will naturally want the other products in the sales funnel. Example 2: Your end point is a coaching program where you personally help copywriters hone their craft. The mid-points in your sales funnel include reports or videos on how to craft high-converting sales letters and press releases. The entry point might solve part of the problem, such as a report on how to create attention-grabbing headlines. TIP: Don’t use your Magic 8 Ball or a crystal ball to figure out what products to include in your sales funnel. Do your market research. Find out what’s ALREADY selling. If people in your niche are already snapping up a particular product, then they’re sure to buy yours if you create something similar but even better. Step 1: Work backwards by brainstorming what type of report will naturally lead to the paid products in your sales funnel. 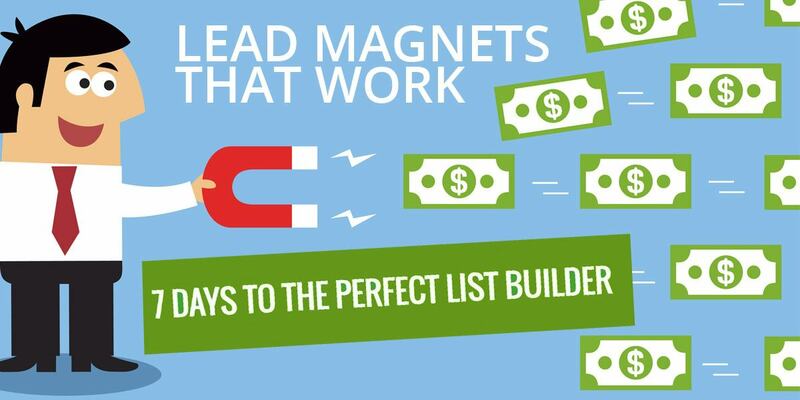 Be sure your lead magnet directly leads to the tripwire or other entry-level product. Step 2: Do some market research to make sure your lead magnet (as well as other products in your funnel) are in high demand. You do this by visiting marketplaces such as Clickbank.com or Amazon.com to find out what people are already buying. Actually, the name comes from the fact that they “write by the seat of their pants.” In other words, they don’t do a lick of outlining. They don’t plan. They hardly research. Instead, they just spew whatever comes to mind. The term verbal vomit comes to mind. You might fancy yourself a genius if you write by the seat of your pants. But the end result will probably be a big, stinky mess. And you can bet it won’t accomplish your goals of attracting leads and closing the sale. So here’s what you need to do instead: carefully plan your report, research it, and outline it. Step 1: Scope Out the Competition – Don’t make stuff up. Don’t guess at how to create an in-demand report. Instead, go find out what your competitors are putting in their top lead magnets and bestselling ebooks and reports. This doesn’t mean you copy them. Not at all. What you do is use their table of contents as inspiration for what to include in your lead magnet report. Amazon even has a “look inside” feature so you can view the table of contents without purchasing the product. However, it’s a good idea to purchase the product too. Step 2: Decide How to Make Your Report Better – You’re not making a Stepford lead magnet that is a carbon copy clone of everyone else’s product. 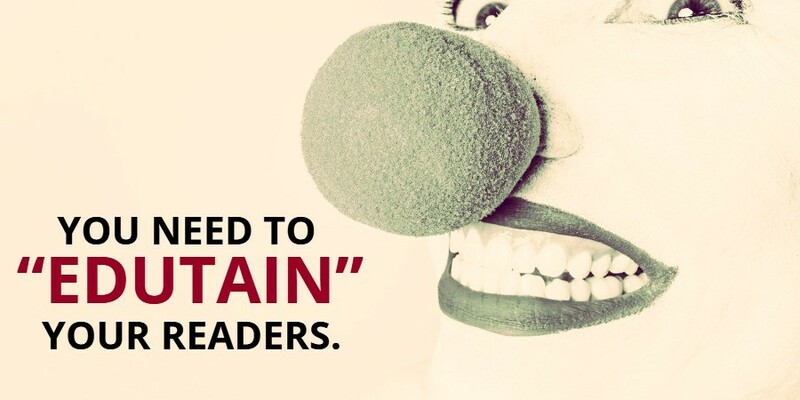 You want your lead magnet to stand out in a crowded field. You want your lead magnet to be like the bright fireworks that light up the night sky and dazzle your prospects. Simple: you make your report BETTER than everything else on the market. That means your report will retain the strengths of the competitor’s product, and it will improve on the weaknesses. This is where the old saying “build a better mousetrap” comes into play. So how do you figure out what these strengths and weaknesses are? Read and use the competitions’ products. This is a really good way to figure out a product’s strengths and weaknesses. Read the product reviews. You’ll see users touting the strengths and down-rating the perceived weaknesses of a product. Ding, ding, ding… that’s a clue that YOUR report needs to give people more information on generating traffic. Now that you know what all you want to include in your report, it’s time to craft your outline. 1. Create a logical order. This isn’t a side salad where you toss the ingredients around randomly and hope for a good result. This is a report that offers a solution, so make sure the info is presented in a logical way (such as in a “step by step” order, or a beginner-to-advanced order). 2. Be specific about what to include. In other words, create a detailed outline. Break every section up into bite-size chunks, which will make it easier for you to actually sit down and crank out your report. 3. Use word counts to stay focused. Figure out upfront about how many pages or words you want your report to be, and then assign a specific number of words or pages to EACH section of your report. This will keep you focused so that you emphasize the truly important parts of your report. Today is the day you actually start knocking out your report. You’ve already done your research to figure out what to include in it, and you’ve created a detailed outline to keep you on track. Now you just need to sit down and start banging on those keys. TIP: Use your favorite word processor, which is probably already installed on your computer. But if you don’t have a word processor installed… (insert loud gasp from the audience)… then you can get one for free by downloading the free Open Office suite of tools at www.openoffice.org. TIP: If you’re a “hunt and peck” typist, you might consider using a speech-to-text app such as Dragon Naturally Speaking. One of the biggest threats to finishing your report is getting distracted. If you’re a “Hey, look… a squirrel!” type of person, then you need to deal with that. Use a productivity app. Chain yourself to the desk. Get an accountability partner. Do whatever works for you so that you can get to work. #1, creating an attention-getting title for your report. #2, crafting an engaging report. Some marketers just slap a title on their report almost as an afterthought. Tip 1: Fire Your Big Guns. The idea here is to put your biggest benefits front and center, right there in your title. Let’s take a classic example: “How to Win Friends and Influence People.” Boom, that’s a title with two big benefits in one short title. Another example: “The 4 Hour Workweek: Escape 9-5, Live Anywhere, And Join The New Rich.” That’s a title that’s bursting at the seams with benefits! Tip 2: Arouse Curiosity. 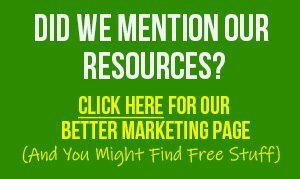 You can think of curiosity is an “itch” that you create, and the only way your prospects can scratch this itch is by reading your free lead magnet. It’s an incredibly powerful way to boost your conversions. And just like that, you’ve got a new subscriber. Tip 3: Use Psychological Trigger Words. These words are proven to get attention and push emotional or psychological buttons. If you use these powerful words in combination with benefits and/or curiosity, you’re almost sure to have an irresistible title on your hands. Naturally, you don’t need to limit those sorts of words to your title. You can use them in your report too. If your readers tell you that they’d lie on top of fire ants than finish reading your report, you’ve got a problem. If they tell you they use your report as the cure for insomnia, then you guessed it: you’ve got a problem. If they tell you they printed off your report and used it for toilet paper, then you’ve really got a huge problem! So let’s avoid all this. First, obviously, you need to create a useful, in-demand report. If you did a good job back on Day 2 when you were outlining and researching your report, then you already know you’re delivering a solid solution. This means you entertain them while you educate them. Simply put, your prospects have the attention span of gnat. If your report doesn’t keep them hanging on your every word, they’re going to chase off after something that’s a little more bright and shiny. Use a light, conversational tone. If your report reads like a stuffy college algebra book, you’re going to lose your readers by the second page. So imagine you’re writing to a friend, and you’ll end up with an engaging, conversational tone. Sprinkle in some humor. Don’t overdo it, because whatever you find raucously funny might leave your readers frowning or even offended. That’s no good. Tell stories. This is a great way to engage your readers on an emotional level. This works especially well if the character in your story is a lot like your average reader. Drop cliffhangers. In other words, make people curious about what’s coming up, and their eyeballs will stay glued to your words. So that’s how you engage your readers and keep them hooked right to the end, which means they’ll see your link and call to action. But hold up… before you type a single word for your report, you’re going to want to look at Day 4. One of the main goals of your lead magnet is to promote a product on the backend. That means your entire report needs to revolve around this goal. You see, a lot of people whip up a report… and then at the end they insert a link and call to action. They don’t tie it in. They don’t make a smooth transition. They don’t give it any forethought. End result? Not a whole lot of people clicking on the link. Yep, if you’ve been paying attention, then reading that sentence may feel like déjà vu. But it’s true. You need to write your report with your goal in mind, which is to get your reader clicking on your links. And that means you need to plant a seed early in the report, and then reap what you’ve sown later on. WHAT DO I MEAN BY PLANT A SEED? This: make people realize they have a problem, and then arouse curiosity and excitement around the idea that you have the solution. Finally, later on in the report you can present your solution. Your readers will practically be foaming at the mouth by that time! For example, let’s suppose you’re writing a list-building report with the intention of selling an affiliate offer at the end of the report, such as the lead-page design app Landing Page Monkey. There’s one thing that many list builders absolutely do wrong: and that’s to create a poorly designed lead page. After all, it’s expensive to hire a good designer. And the truth is, most list builders have kindergarten-level design skills. Problem is, a poorly designed page has a low conversion rate. You might get a ton of traffic, but no one is hitting the “subscribe” button. All they’re doing is hitting the “back” button because your lead page isn’t impressing them. So how do you create AMAZING lead pages without spending a fortune? That’s how you plant a seed about a problem while raising curiosity about the solution. So you’ve probably spent the last minute or two wondering if it’s really possible to get your hands on an affordable solution for creating high-response lead pages. You probably don’t have an extra $1500 laying around to hand over to some high-priced, fancy-pants designer. Nor do you have the skills, time or inclination to do it yourself. You need a quick, affordable solution for creating high-response lead pages that blow your prospects socks off. Here it is: Landing Page Monkey. Thousands of marketers are already using this simple app to boost their conversion rates and grow their business. Now you can too. Click now, because you won’t find a better or easier way to create impressive landing pages. Share the benefits of the offer. You can see that in the example above, as we talk about how Landing Page Monkey is an easy way to create high-converting lead pages. No experience required! Offering a benefit is one reason you can offer to get people to click. Reminding people of what scary consequences will happen if they don’t take action is also a good reason. Still another good reason to offer up is some form of a special offer, such as a discount coupon if they act now. Once you complete this step, you’ll be more than halfway through the process of creating an amazing lead magnet. Even though you’re probably just an amazingly gorgeous human being, you probably still comb your hair and choose some nice clothes that kick your level of amazingness up a notch when you go out. This is especially true if you’re going on a first date or going on a job interview. You want to put your best foot forward, make a great first impression, and all that jazz. The same goes for your report. Right now, it’s pretty darn awesome, right? But you need to add a few finishing touches to ratchet up its level of amazing. Remember when I said your prospects have the attention span of a gnat? Yeah. You can deliver Stephen King “glue them to their seats” content, and some readers will still lose focus and find something else to do. So here’s an idea: spice your report up with some graphics. …And anything else to break up the walls of text with something visually interesting. For example, if you’re writing a blogging report, then insert some screenshots to help illustrate how to install WordPress. Snag It. This tool lets you easily capture and edit screenshots on the fly. See www.snagit.com. Pixlr. This is a free online graphics editor, which you can use at www.pixlr.com. Gimp. Here’s another free image manipulator, except you download and install this software on your computer. Get it at www.gimp.org. Draw. If you need charts or diagrams, check out Open Office’s free “Draw” software at http://www.openoffice.org/product/draw.html (this is part of the Open Office suite). Another way to impress your readers is to make your content as clear as possible. And one good way to do that is by offering plenty of supporting materials. Heads up: One way to both boost the value of your report AND get people seeing your links and calls to action repeatedly is to insert something into your report that people will refer to again and again. Things like gear lists, templates and checklists totally serve this purpose, so add ‘em in whenever possible. You’d swear by now that you must have the most amazing lead magnet on the entire planet. You might have one or more typos and other errors that will get people judging your report in a negative way. Yep, it’s true. There are grammar cops everywhere, and they’re constantly patrolling content to look for errors. When they find them, they blow their grammar cop whistle. And then they use a simple typo as an excuse to not buy from you. Yeah, I know, it’s a weak excuse. But if your report is loaded with errors, then you could be making a bad impression. You could be losing sales. So what you need to do next is proofread and edit your lead magnet. Do it yourself. Best way to do this is set your report aside for a few days so you can look at it with fresh eyes. Then print it off to proof it. You might even read it out loud slowly, which can help you catch errors. Ask a friend or family member. Obviously, this person should have a decent grasp of the English language. You might want to bribe them with pizza and beer to make it worth their while. Hire a professional. This is the best option and likely to catch the most errors, so hire a professional if your budget allows. You can search for “editor” or “proofreader” in Google, or you can visit a freelancing site such as UpWork.com or Elance.com. And no, someone isn’t going to show up at your door and read religious scripture to your report to convert it. Instead, what we’re talking about here is converting it into a downloadable format that people can read on a variety of platforms. You probably already know the solution: it needs to be converted to .pdf. The good news is that it’s pretty easy to do this sort of conversion. You may already have the tools on your computer needed to do it. To check, just pretend like you’re going to print your document (usually you go to “File” and then “Print” from within your word processor). Now take a look at your “send to” print options. If you have a printer hooked up, that machine will show up in the list. But what you’re looking for is a .pdf writer. If you want to go pro, then you can look into options such as the Adobe Acrobat DC. If you’re looking for something on a small budget, then you might opt for an open source solution, such as www.cutepdf.com. Regardless of the option you choose, you need to make sure your report looks fantastic. This means creating a professional presentation through the use of templates, font styles, and other design choices. Not much of a designer? The first option is to once again hire a pro who can help you make a great first impression with your reader. Check the freelancing sites such as Elance.com or UpWork.com to find an ebook designer. Bottom line? Make that report look spiffy before you convert it. You want to give it a high-quality feel with a nice design. This creates a great first impression. Sure, people tell you all the time about how they banged out a lead magnet report in one afternoon. But what I bet they don’t tell you is that their lead magnet doesn’t work. It’s just a useless clump of bits and bytes that’s gathering virtual dust on prospects’ computers. Take it from two people who’ve built a seven-figure business… A really good lead magnet takes about seven days to create. Depending on how much experience you have, how many hours you have per day to work on your lead magnet, and how long it takes you to type and research, it may take even longer. You might even find yourself strapped in front of your computer for a few weeks. But it will all be worth it in the end, right? Yes, true. But that’s assuming you’re only going to create one or two lead magnets. If you’re like most marketers, you’re probably going to create dozens or even hundreds over the life of your business. 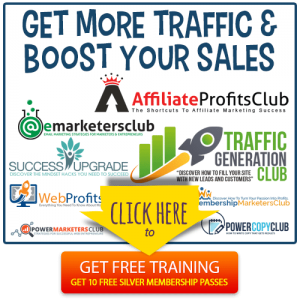 Take your target number of lead magnets and multiple that by seven days. Got it? That’s the amount of time you’re going to spend in front of your computer banging out lead magnets. Doesn’t leave a whole lot of free time, does it? THAT’S WHY I ENCOURAGE YOU TO CHECK OUT AUTOMATED LIST PROFITS. Not only is this the answer to your time-crunch problem, you also get an opportunity to download a sample lead magnet for free so that you can see what a high-converting, high-quality lead magnet looks like. That’s the end result of everything you’ve learned about in this post.